Often, we substitute clear thinking for a quick fix or a shortcut to save a little time and money. Often, we instinctively know that we are not doing the right and safest procedure when preparing an Airstream trailer for a road trip. Even worse, we, many times, just skip completely an important safety piece of equipment because we feel “nothing bad will happen to me”. Well, guest what? Bad does happen and most of the time bad thinks could have been prevented. Today, add on safety equipment is available and easy to install. 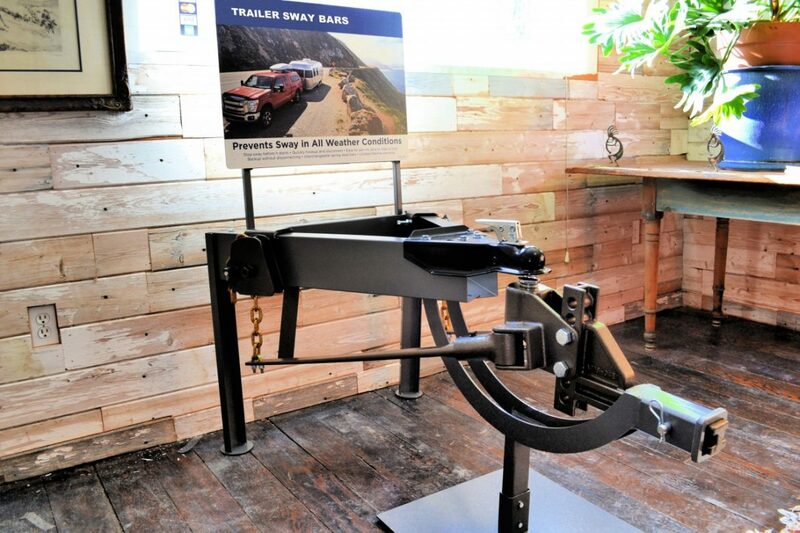 The work “sway bar” is an important part of trailering and a component of safe weight distribution for the truck pulling the trailer and the trailer itself. Your objective should be consistent weight distribution to prevent sway before it starts. Weather conditions are always a concern and need to be checked and re-checked consistently during a haul. One must prevent “sway” in all weather conditions and familiar components always monitored for secure fits and well-maintained fittings. For more information we have safety information and suggestions for all different sized couplers.